If your budget for a new laptop is around £400, then the Toshiba Satellite C870-11H is a good bet. A massive 17.3 inch screen Laptop, complete with Intel Core i3-2350M 2.3GHz processor, 4GB of RAM, 640GB hard drive, and Windows 7 Home Premium operating system. Below is our review. Below is our review of the Toshiba Satellite C870-11H, a 17.3" laptop, featuring 4GB RAM, 640GB hard drive and Windows 7 Home Premium. 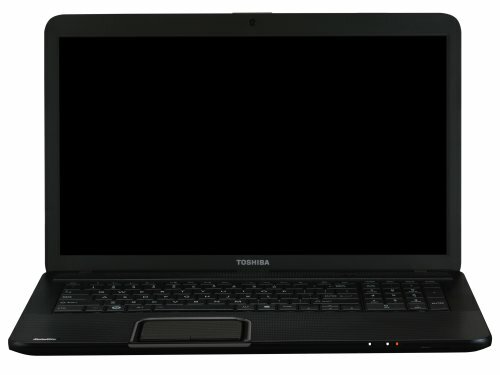 The Toshiba Satellite C870-11H is a good mid priced all round multimedia laptop - if you're looking for a do-it-all laptop then the C870-11H could well be good option.